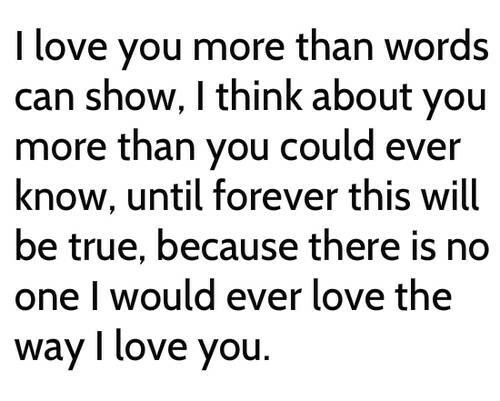 “I LOVE YOU” these three words are very special for every girl. The time when someone tells a girl that he loves her is the most precious moment of her life. Every girl is dreaming to hear these three magical words one in her lifetime. 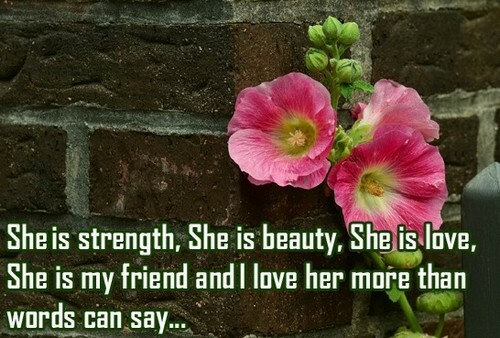 Every girl loves it when the person whom she loves praises her, she really feel special. Every girl is very emotional when it come to their relationship, they get melted even on the simplest line. 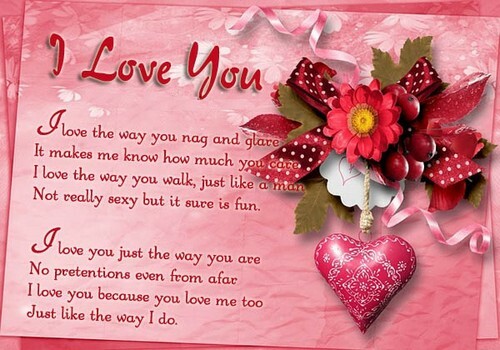 I am sharing some I Love You quotes for her to help you make your girl feel special. You are so amazing that you make me forget about the world. I fall for you every time I saw you, you are so damn beautiful. Speak out loud all your feeling I can hear you my entire life. You surprise me everyday girl. You looks more beautiful every day. I love your hairs, I can play with them my whole life. Your eyes shines brighter than the stars. I can’t resist myself from admiring you. Your eyes are a glimpse of a magical world. Your smile makes me feel like I am in heaven. I am surprised that how butterflies misses a beautiful flower like you. You are so divine to me and your twinkling eyes makes you more beautiful. Your smile is the first thing I want to see every morning. You are so beautiful and lovely, sometimes I feel I am dating an angel. You are not fat my girl, you are simply cute and I have never met a girl more cuter than you. I see my world when I look into your eyes. If I send your picture to heaven, all the angels will get jealous of you. Your eyes are a gateway for your beauty and innocence. I will never be able to tell you how beautiful you are to me. The beauty of moon is nothing in front of you. Even the rose can get jealous of you after seeing your beauty. When I first saw you, I thought you are an angel because I had never seen such a beautiful girl in my life before. Your eyes are not less than a killer. They can kill many hearts. I think God has stolen the stars from the sky and put them in your eyes. Your curly hairs are more beautiful than clouds. There is not a single thing I want to change about you because for me you are just perfect the way you are. For me, you are still perfect despite all the imperfections. I love you. I can’t sleep because of you. I think I am in love with you. 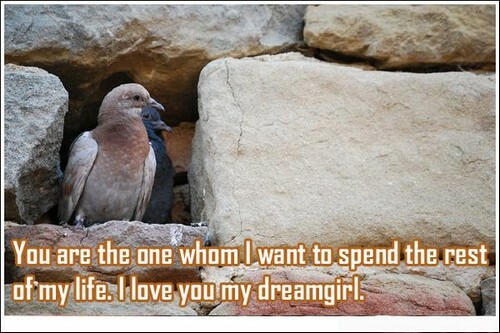 I keep dreaming about you but I want you in my life instead of my dreams. Will you marry me? I want to get old with you and have a family with you. I want you in my life, please marry me and be my wife. If you give me your heart, I will give you my surname. My world starts revolving around you from the very first day I saw you. I want to hold your hand for lifetime. Whenever I saw you, I feel like I am in heaven and I want to keep this feeling forever. I love you. I am not perfect but I want you in my life so that my life can be perfect. I need you in my life, I can’t imagine my future without you. My life is incomplete and I want you to complete it. I feel complete when I saw you beside me, Will you marry me? I love you not for what you are but for what I am when I am with you. You love is like a beautiful flower in my life and I want your fragrance in my life forever. I can’t explain my love for you, I just love you and you made my life the happiest that it can be. You taught me the language of love and I want to talk to you in that language forever. 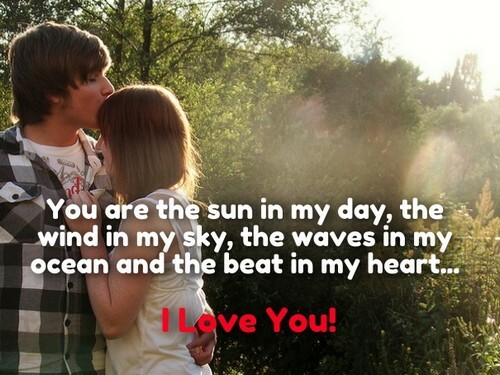 You are my sunshine and with you my life looks brighter. I never love someone the way I love you, I want to spend my entire life with you. I have chosen you as my life partner, Do you want to spend your entire life with me? I want the copyright to love you and admire you. Please marry me. It’s true that there are millions of people on this earth but the thing is, you’re the only one I want because I love you. I want to be with you today and everyday. Please marry me. Roses are red, violets are blue. I never love someone the way I love you. I just had a small wish, I want to stay in your heart and keep you in my heart forever. I love you. Being with you is the greatest pleasure of my life. You are special for me. I love you. I want you…only you. Please be mine. I love you. I love you, just say yes once. I promise you will never regret your decision. Love was just a word for me before I met you. You taught me the true meaning of it. I love you. My each and every heartbeat beats for you. I love you with every single beat of my heart. You are my life, you are my love, my soul has already said a Yes for you, now it’s your turn. Would you like to spend your whole life with me? If I have to wait my entire life just to be with you, I still wait for you. I want to live 1 day less than you so that I can die after seeing your face. You are so precious to me, I don’t want to share your love with anyone I got jealous even with our kids. I will feel jealous, if you love our kids more than me. 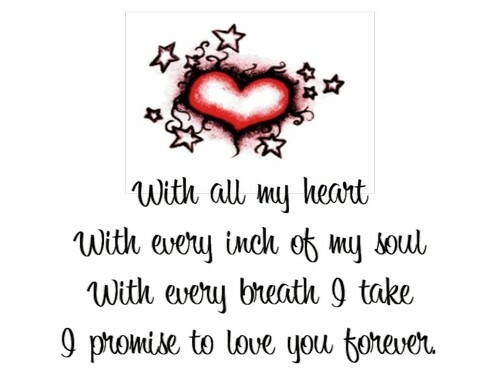 I may not able to bring you a diamond ring but I can surely give you my heart and will forever love you. To have a life partner is amazing and to have a best friend in life partner is super amazing and I am super lucky to have you. Your love is the greatest blessing of my life. You know why I can’t fall asleep from the day I saw you because you are more beautiful than my dreams. My love for you will never die, it will only get stronger with time. The greatest happiness of my life is your love. The madness that I got from your love is the most beautiful blessing in my life. I will only leave you on my last day on this earth. Holding you in my arms make me feel complete. You have no idea about how happy I feel when I am with you. When I am not with you the only thing I do is keep missing you. When you are not around, my eyes starts searching for you everywhere. You know when are the best days of my life, the days I am spending with you. You are my first thought in the morning and my last wish at night. It does not matter if you are close to me or far apart, no one can take your place in my heart. I want to live a day less than you, because I can’t live a single day without you. I love the way I feel when I think about you. You are like an oxygen to me I don’t think I can breath and live without you. I want to hold you in my arms and take away all your sorrows. Just let me love you. I will always be there for you with all my love forever. I can never turn away from you. You are my life. You are the only one in my life who understand the depth of my feelings and the sound of unspoken words. You know a hug is a handshake from the heart and I always want to keep you close to my heart. I may not be able to buy all the expensive things in the world for you but I can make you feel special with my hug in which you will feel my true love. If you ever feel sad or alone just come to me I will wrap you in my arms and won’t let any sadness touch you. Your smile is a painkiller for me which takes away all my pain and makes me happy. Loving you is always like falling in love for the first time. You are my first and last wish that I ever wanted. I can leave the whole world just to be with you. You are that important for me. I am made for you, I am alive just for you. I can’t live without you. If I will be able to love you even for a second. I can die in peace after that. The very first time I saw you…I finally found my purpose, and that is to love and take care of you forever.